Jonny Lieberman tries to explain just how awesome the Huracan Performante is through his incomprehensible giggles. 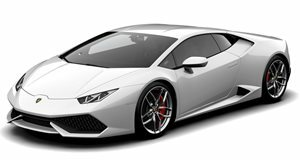 What’s there not to love about the Lamborghini Huracan Performante? We’re hard pressed to find a single item to fit on that bulleted list because the German-Italian supercar is damn near perfect. It embodies all of the loud passion and stylistic drama that we’ve come to expect from Italian cars, but it has the clinically-minded attack mentality of a German car, one that places every tenth of a second over any other priority in life. From the looks of things, it’s the antithesis to xenophobia. Why not merge cultures if the best qualities of each can be identified, distilled, thrown into the mixer, and baked to perfection? The fact that it shattered the Porsche 918 Spider’s Nurburgring record by nearly five seconds using its 5.2-liter naturally aspirated V10, tuned to push out 631 horsepower, is proof of that.